Do you like live music? And right in town? Well, mark your calendars. 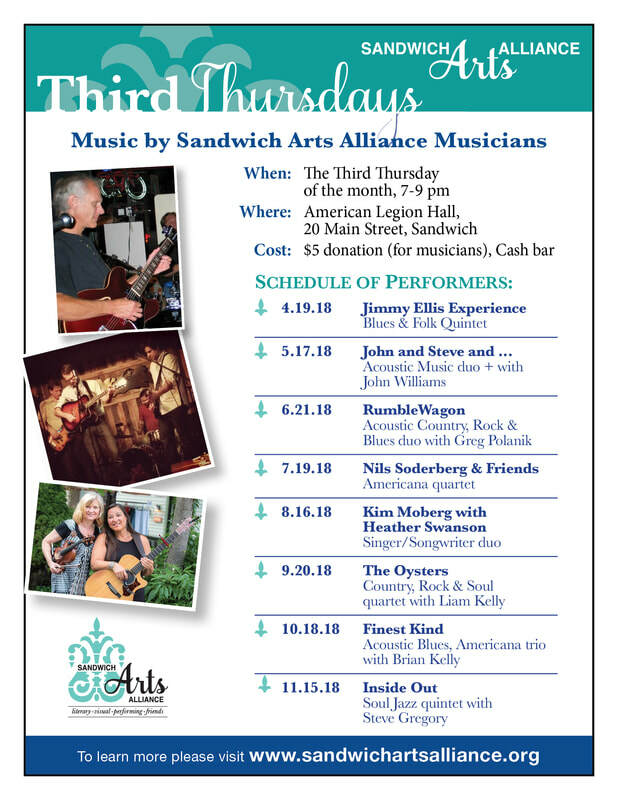 The Sandwich Arts Alliance event “Third Thursdays” returns and will feature different artists and music themes each month at the American Legion (20 Main Street, Sandwich) from 7-9 pm. A donation of $5 at the door will cover the musicians. There will be a cash bar. The program starts April 19th, 7-9 pm, and is being coordinated by Arts Alliance member, Greg Polanik, who has previously entertained at Fall for the Arts evening concert, Cape Cod Caribe, at Town Hall.